Karl Avellar's painting-in-progress of the Clark farm at the intersection of Rt. 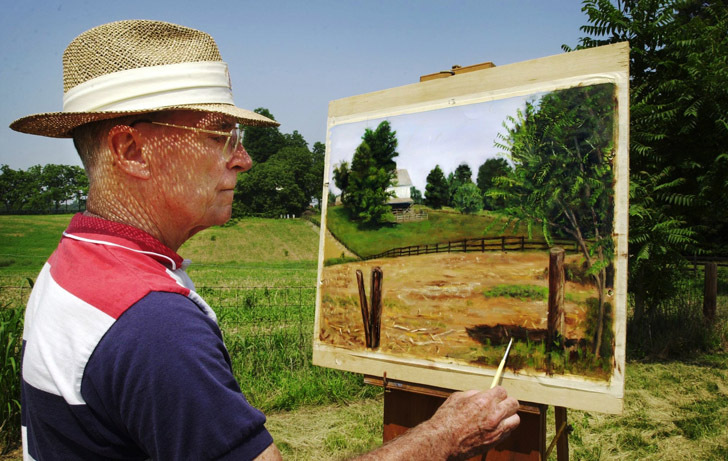 108 and Centennial Lane blends into the landscape as he works on the piece for his class at Howard Community College. Avellar said his current dilemna involves learning how to render the delicate strands of barbed wire on the fence realistically in oil paint. He plans to ask his instructor for advice in his next class.